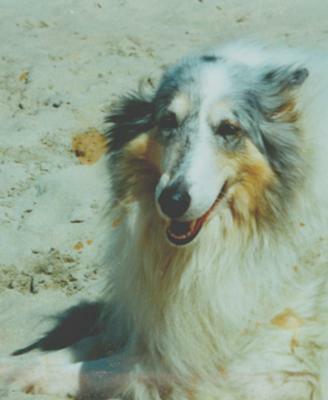 Callie Maree was a beautiful white collie I inherited from a couple who no longer had room for her. I was shocked someone would give away such a gorgeous dog. She was older and couldn't climb rocks or take hikes but she could walk, she smiled and she loved to be in charge of the farm animals and WAS. She passed away in the middle of the night at the age of thirteen. I was with her and hugging her, telling her she was going be able to run and climb and I would see her again and that we would go on the biggest hike ever. My beautiful girl.....it's what I always called her.